Castle Air Museum is one of those places that Mark has always, always, always wanted to go to ever since he heard about their “Open Cockpit Days”. 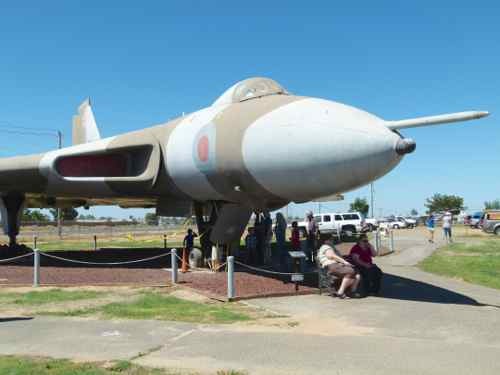 The museum sits on the edge of the old Castle Air Force Base in Atwater, California. The base was closed in 1996. 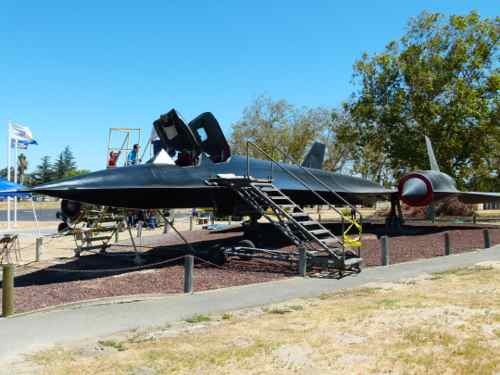 ...up to even the SR-71. All Planes Are Static And Outdoors. 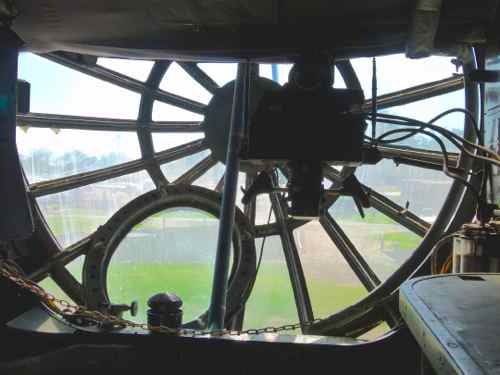 Some of them are rather weathered, but the museum has a dedicated group of volunteers who try to restore them to look original if not flyable…. and keep them looking good. 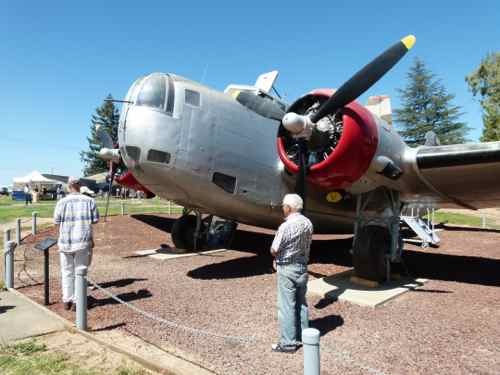 They have WWII staples like a B-25 Mitchell, a B-17 Flying Fortress, and a B-24 Liberator. We all know and love those. There is a flying Mitchell hangared close by, and he did a flyover while we were there... always gotta love that! Mark heard him coming before we ever saw him. They also have some relatively rare WWII and pre-WWII planes like the Douglas B-18 Bolo (Bomber), the B-45 Tornado and the B-23 Dragon. There are very few airframes of any of those left in the world... and there is certainly no place where you can climb up and peer inside. That’s where the peering inside happens. These happen twice a year. The volunteers and local Sea Scouts come out and open up most of the planes. Because these planes are still officially owned by the Air Force, you can’t actually SIT in the cockpit… but you can climb in or peer in depending on the size of the plane. 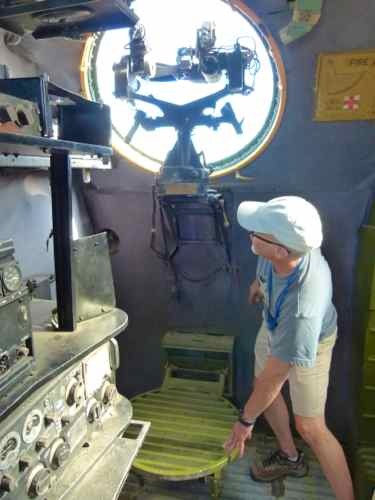 One big draw for Mark was the B-36 Peacemaker. This plane is huge and pretty unique. I mean, six radial propeller engines is pretty unique all by itself, but when they added a couple of jet engines to the end of each wing… that’s pretty amazing. And I love the the slogan… “six turnin’ and four burnin’”… can you see it in this picture? There are only about 5 airframes left in the world. We’ve seen a couple of them at other museums, but here we had a chance to climb inside. 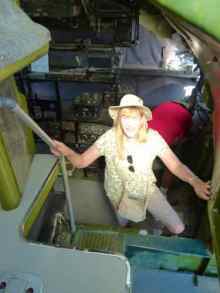 The flight deck was pressurized and linked to the rear compartment by a pressurized tunnel though the bomb bay… you get to see that too. And once you're inside, there are two levels to that flight compartment. 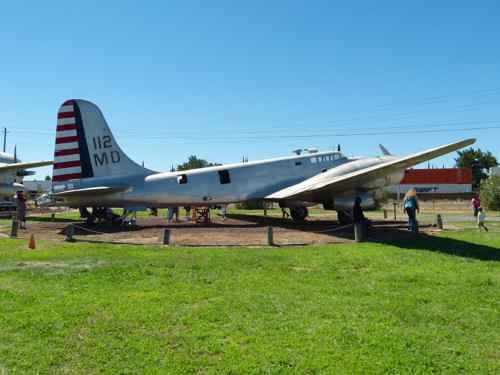 The Douglas B-18 Bolo was built in the 1930s and was based on a DC-2! They say this is the oldest aircraft in their collection. They were underpowered and therefore relegated to antisubmarine or transport duty. A B-18 was reportedly the first American aircraft to sink a U-Boat. Only five B-18s still exist. Douglas Dragon B-23 started life in 1939 as a modified B-18 Bolo. There were modifications to the fuselage and tail, more powerful engines and it was the first American bomber to have a tail gun. 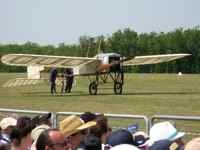 It was considered obsolete by the time it first flew, so only 38 aircraft were ever built. There are 10 of these left at museums around the country. 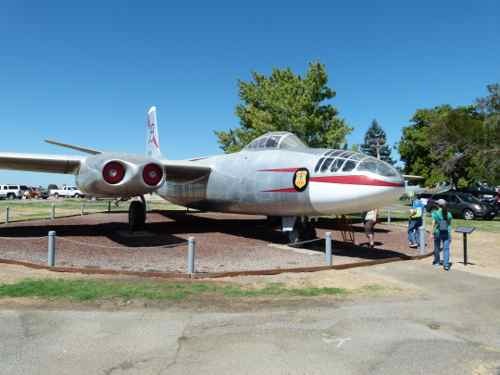 The B-45 was the first jet bomber put into production. It first served in 1948 and they flew until 1958. 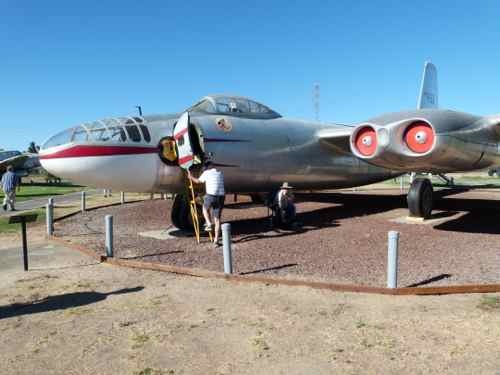 This aircraft was recovered in PIECES at the China Lake Naval Weapons Center and restored by volunteers at Castle. Only three B-45s have survived to the present. 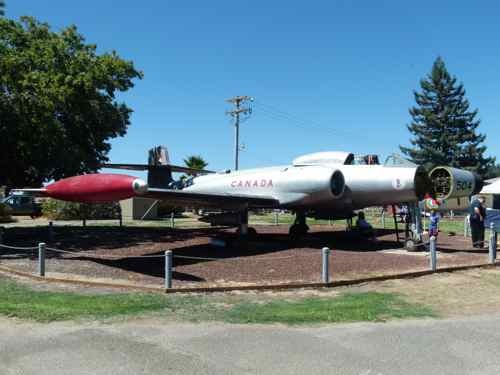 The Canuck CF-100 was the first aircraft entirely designed and built in Canada. The museum brochure says it was one of the largest fighters ever built. The last ones were retired in 1981. This one was a gift of the Canadian government. Vulcan went into operation in 1952 and served with the RAF until 1980s. It was the first bomber to use the delta wing. We went to see one fly in England a few years ago… boy did it scream when it took off! This aircraft arrived at the museum in 1981 and is on indefinite loan to the museum courtesy of Her Majesty’s Government. 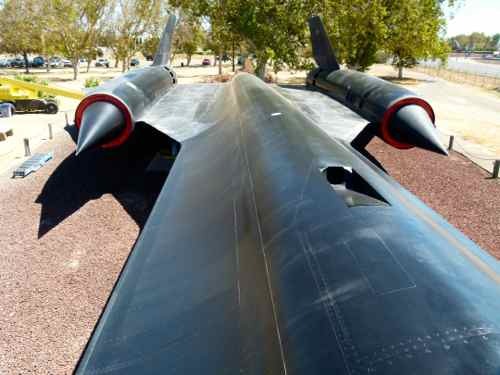 Developed by the Lockheed Skunk Works… you know… Clarence “Kelly” Johnson. It was developed in the 1960s! It operated high and fast, right? The Castle Air Museum Open Cockpit days are a special treat. The open cockpit days are usually held on the Sunday of Memorial Day weekend and Labor Day weekend. These two events are their main money raising events, so go and support them. 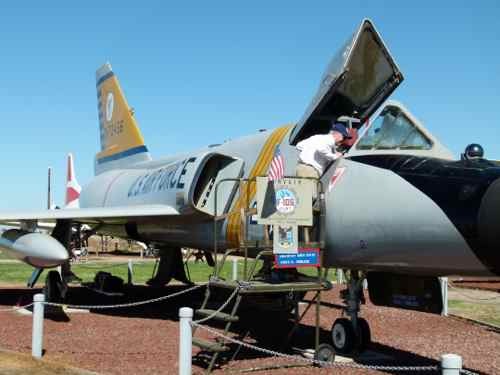 As we mentioned the Castle Air Museum is on the grounds of the old Castle Air Force Base. 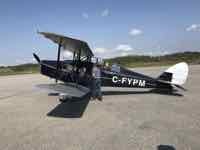 See the Castle Air Museum website for more details.